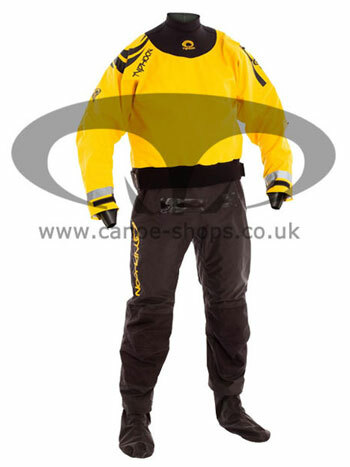 The Typhoon Hinge is a high performance, versatile and robust dry suit. 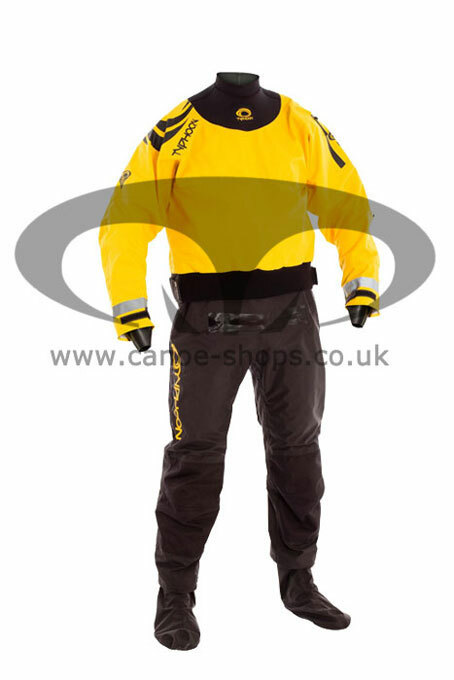 As the name suggests this suit features Typhoons hinge entry system making it easy to self-don. All the advantages of the new lightweight low bulk Multisport 5 but with the fantastic Typhoon hinge zip system for easy self-donning. The zip runs round the chest in a horseshoe so the suit can be stepped into and the top half ‘hinged’ over the head before being easily zipped up by the wearer. To enhance its more versatile usage, the Multisport 5 hinge comes with a softer neoprene neck seal. This makes the suit more comfortable for longer periods of wear. Ideal for kayaking, open boating and even dinghy sailing the Multisport 5 Hinge comes with the Typhoon 3 year warranty of complete peace of mind.